It is now pushing three years since Vera Van Heeringen launched her solo recording career with 2012’s STANDING TALL and finally the follow up is here in all its finesse and glory. The highly accurate title PROPER BREW bestows a record rich in the core ingredients of fine music, blended to perfection with the addition of an established list of players and a broad offering of instrumentation. Guided by Vera’s strong writing and deep rooted beautiful vocals, the record calls at all ports of country, folk, Americana and roots to offer a taste of everything to distinguished followers of cool music. As suggested by the surname, Vera has her roots in the lowlands of continental Europe, but is now firmly established in the hills of North Wales. Various Transatlantic excursions have led to acquaintances with performers such as Dirk Powell and Tim O’Brien with both featuring on some part of the album. From the folk world this side of the pond, Kris Drever, Sam Sweeney and Neil McSweeney all lend a hand, with the latter of this trio joining Vera for the record’s only co-write ‘Wisdom’. 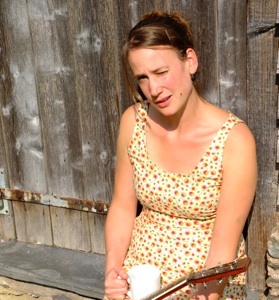 Vera in turn takes solo credit for the other ten compositions including the guitar instrumental title track ‘Proper Brew’ delivered in collaboration with Drever. The album kicks off with a storming opening track ‘Believer’ which gently rolls along in an optimistic mood adding plenty of fiddle and mandolin to a cracking melody holding together a lovely chorus. This sets the scene for a riveting forty-two minute listen concluded by the reflective number ‘It’s All Been Said’ generating an abiding thought that standards haven’t slipped throughout the record. Musically, the record hits a possible peak if you like your style countrified in ‘Riverside House’ where lashings of fiddle and steel swathe over a foot stomping number garnished with a sweet chorus. The writing hits similar heights on a couple of numbers to reveal Vera’s skills in this creative field. The poignant message of the sadness behind forced emigration in the 1960’s is threaded throughout ‘Milk and Honey’ which is thought to be reference to the ‘trafficking’ between the UK and Australia at the time. The subtle music accompaniment to this song allows the lyrics to flourish including the album’s stand out line – ‘good white stock is worth the money’. Likewise ‘Mad Jack’ also reveals a depth to Vera’s writing and questions the concept of freedom from a veteran who gave so much to acquire it. If you are looking for the general mood of this record then look no further than ‘Cold Winter Evening’ where the warmth fits neatly with the tender tones suggesting listening to the album may blossom further in the colder months. A touch of piano and harmony from Kris Drever adds to the appeal of this song. Such is the variety of inclusions and qualities, maybe it takes until the tenth track ‘My Sweet Man’ to fully appreciate the richness of Vera’s vocal contribution, but looking back it’s prevalent throughout. Elements of this album infer to a stripped back tendency including the cover shot and pure raw sentiment is to be found in ‘Wildest Truth’, the penultimate track to be commented upon in this review. Bringing up the rear is the album’s second track ‘Never Enough Time’ which once again presents Vera’s writing in a positive light as she ponders the brevity of it all with a selection of contrasting thoughts. 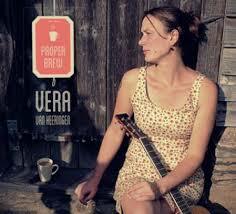 PROPER BREW is a proud body of work for Vera Van Heeringen to present to the music world and is worthy of your consideration. As per usual, expect some live support for the record as it is pretty sure that the songs from the album will transmit well to a listening venue. While you wait for the live opportunity, checking out this record should be a high priority.